In each issue of the U-Stor newsletter you’ll find announcements, auction times and weird items. 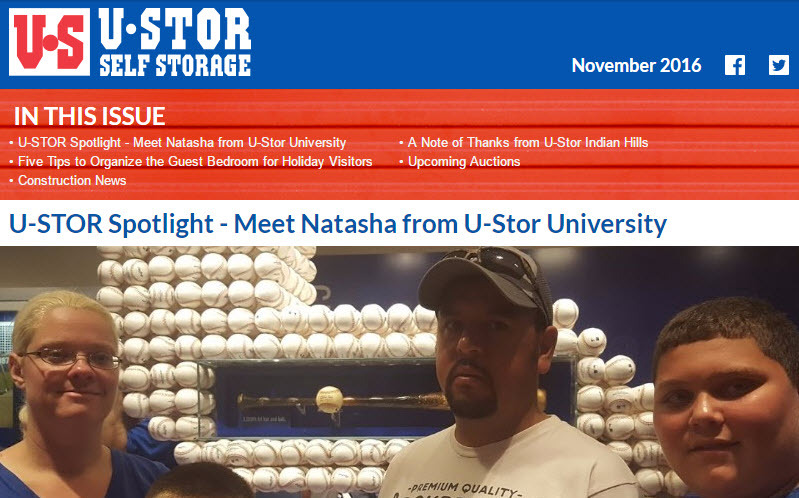 This month, we spotlight Natasha from U-Stor University, give you tips on organizing your guest bedroom and MORE! Read on for more. . .